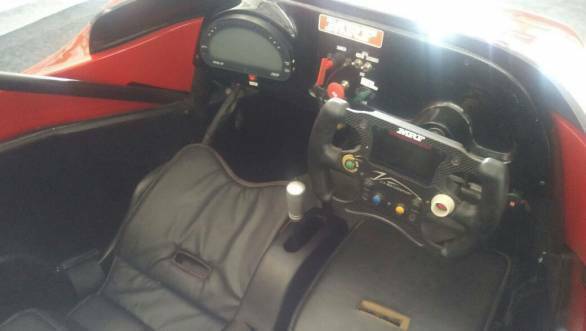 We've all seen and heard of the twin-seat racecar that JA Motorsport designed a few years ago. 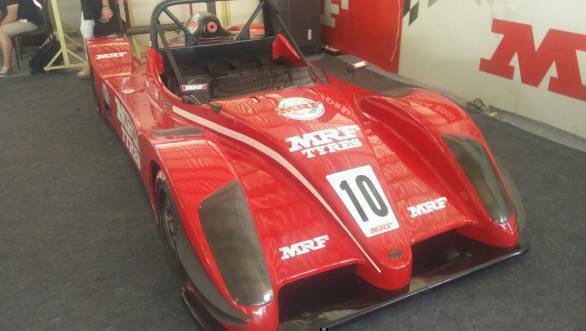 Yes, that car that's used for taxi rides at racetracks where MRF Racing's events are held. 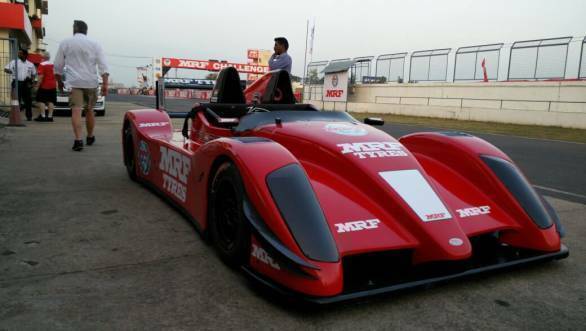 Well, OVERDRIVE got to see that car in action at the season finale of the MRF Challenge, with Sachin Tendulkar getting behind the wheel of JA Inde 2.5 at the MMRT. The Inde 2.5 racecar has taken a total of three years (and a few iterations) to reach this stage of completion. 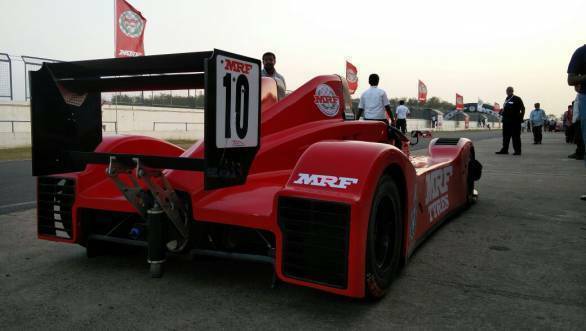 The machine is powered by a Ford 2.5-litre Duratec engine, that has a power output of 215PS at 6000rpm. All that power is sent to the rear wheels with the help of a 6-speed sequential gearbox with paddles. The company claims that the car can do 0 to 200kmph in 4 seconds. During testing, they have also managed to clock a laptime of 1min 39.00sec at the Chennai track. JA Motorsport has also made other iterations of this sportscar that come with 1.6-litre, 2.0-litre (from Renault) and a 3.6-litre (from Ford) motors. While the final version has still not been decided, there have been a total of five different iterations built so far. The suspension system includes double wish bones in the front and rear, with push rods and anti-roll bars. The braking is taken care of with front and rear ventilated AP racing disc brakes. 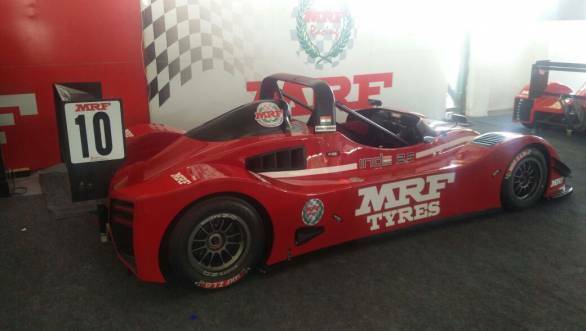 The Inde 2.5 runs on the 200/540 R13 front and 240/570R13 rear OZ wheels and MRF slick tyres. 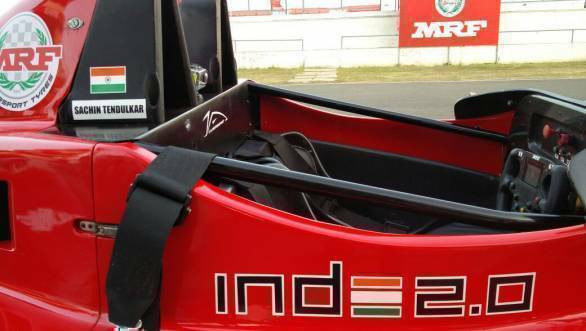 So where does the Inde 2.5 sit in the MRF Challenge? Arun Mammen, managing director, MRF india stated, "We have not taken an active decision on where we would like to position it. it might be an all-new class that will have corporate championships or a leisure race for the enthusiasts." Meanwhile, J Anand said that various enthusiasts, basically exotic car owners, have been chasing him to get the Inde 2.5 on track. Will that happen sometime soon? Well, we'll have to wait and see.